Work stopped in Jogmaya tea garden near Kurseong yesterday after the manager had resigned and left the estate. Today, the assistant manager also left the plantation that has 188 workers. 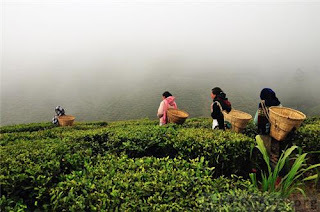 Jogmaya Tea Garden Pvt Ltd has been running Jogmaya estate since 2009. Garden manager J.D. Rai said it was becoming difficult to make the estate labourers work. "Absenteeism was high as workers went outside looking for jobs. I felt the management wasn't taking enough initiative to address the situation and that is why I resigned." Rai said problems started in January. "Worker-related liabilities are anything between Rs 55 and 60 lakh now. Wages and salaries have been due for a month, along with provident fund and gratuity," he said. According to Rai, he put down his papers on June 30 <+>but the management didn't accept it. "My resignation was accepted on July 4 and the next day, I left after handing over the charge to assistant manager Madan Kumar Gurung." The estate, 30km from Kursong, is in Darjeeling district. Gurung said he had resigned on July 1. "But it was not accepted. I will tender my resignation again." The official said he got the impression that "the workers felt my stay would deny them the facilities that the government extends to shut and abandoned gardens. Moreover, I did not want to risk my life". Work stopped in Jogmaya tea garden near Kurseong yesterday after the manager had resigned and left the estate. Today, the assistant manager also left the plantation that has 188 workers.